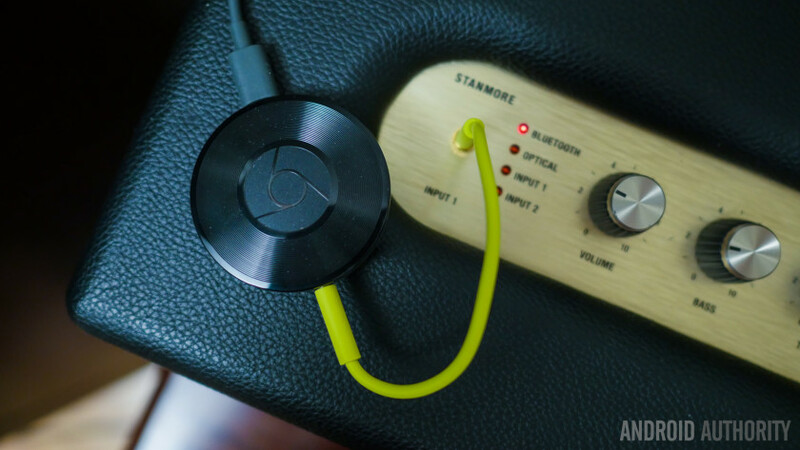 Alongside the second-generation Chromecast, Google introduced the Chromecast Audio – a handy device used to turn your normal speakers into connected audio devices. One of the most interesting features Google announced with Chromecast Audio was that users would have the ability to to link multiple Chromecast Audio devices together, making it easy to play the same song in every room at the same time. Unfortunately the device came to market without this feature, leaving early adopters wondering when the streaming device would get updated. We’re happy to report that your wait is finally over – Google has just announced an update to Chromecast Audio that brings multi-room streaming and a few other nice features to the device. Setup for multi-room streaming is pretty easy. Just connect and setup a Chromecast Audio device on whichever speakers you’d like, then create a group using the latest version of the Chromecast app. You’ll be able to cast to the group the exact same way you’d cast to a single Chromecast device. Awesome, right? That’s not all, Chromecast Audio is also gaining Hi-Res audio support, which will bring support for up to 96KHz/24-bit lossless audio playback. Your Chromecast Audio devices should be updated in the background on Google’s end, but you’ll still need to download the latest version of the Chromecast app to get this functionality. The update is live now, so follow the Play Store link below to grab the latest version of the app.